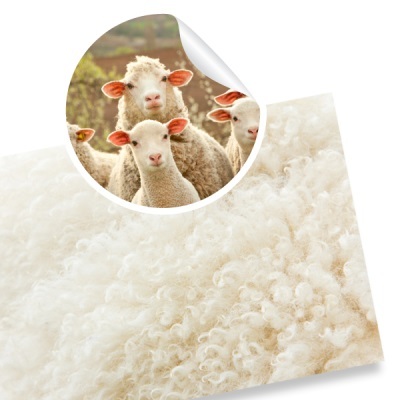 The Cosynite Wool Underblanket is designed to restore sound, natural and comfortable sleep in the most natural and effective way for all ages. Cushioning sensitive joints with a layer of warm air trapped in the natural fibres, this ultra-soft blanket supports aching muscles, retains body heat and reduces cold spots in the bed. Raynaud's Disease: Lock out the cold with this soft and fluffy blanket keeping you toasty warm throughout the night. Rheumatism and Arthritis: Supporting the joints allows for an ache-free night's sleep, without tossing and turning to be comfortable or distribute away from sore joints. Poor Circulation and Numbness: Enhanced warmth leads to better circulation, for better sleep. Cramp: Soft support for the whole body helps keep you relaxed and relieved of pain. Pins and needles/Pressure Points: Better circulation and enhanced warmth and support allows this simple addition to your bed make a huge difference to your health. Can be hand washed, machine washed or dry cleaned.